AGILENT Technologies has conducted a demonstration of core router performance at speeds up to 40Gb/s in an independent evaluation of the Cisco CRS-1 carrier routing system. 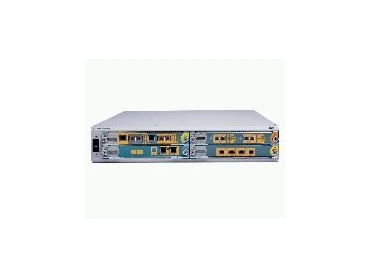 The European Advanced Networking Test Center (EANTC) used the Agilent N2X multiservices test solution to verify the performance and scalability of the Cisco CRS-1 during the recent OC-192c and OC-768c router test commissioned and funded by Light Reading, a telecommunications-industry online publication. The purpose of the test was to provide the first independent industry evaluation of the Cisco CRS-1. The methodology for the test, created by EANTC, was based on feedback from five of the world's leading service providers to ensure the router produced repeatable, useful test data about realistic network and service scenarios. The test event was an industry first in terms of the scale of interfaces, traffic, routes and services involved, with tests designed to exceed today's carrier requirements. In total, Agilent equipment tested more than 640Gb/s of traffic over OC-192c and OC-768c interfaces. It generated and analysed 15 million traffic flows to challenge the forwarding performance of the Cisco CRS-1. To ensure the router could keep pace with the increasing rate of MPLS (multi-protocol label switching) deployment, Agilent test equipment was used to establish 57,000 LSPs (label-switched paths), even though the largest networks today have only about 5000 LSPs. Maximum IPv4 and IPv6 forwarding performance was identified, including tests when access control lists were enabled. BGP performance and route convergence time were measured using a table containing 1.5 million unique IPv4 and IPv6 routes. Multicast forwarding capability was evaluated when fully loaded with both multicast and unicast traffic, and the correct implementation of IPv4 differentiated services was verified. Functionality and scalability as an MPLS label switch router were verified, including its ability to establish RSVP-TE tunnels and to reach wire-speed throughput across all tunnels with minimum packet loss and latency for expedited forwarding traffic. The impact of software upgrade and hardware module exchanges on forwarding and routing was also measured.